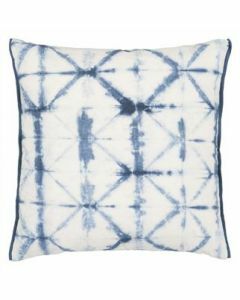 Create a stylish scene in your outside space with this large rectangular outdoor decorative pillow. It features an ombre dip dyed design with subtle shaded tones in azure and emerald and is digitally printed onto a resilient water and stain resistant canvas. Fully reversible and finished with a outdoor plain trim in chalk white. It measures 24” x 18”. Fabric is synthetic and the composition is 100% Acrylic. Dry clean only. Clean with a damp cloth. Sold as a set of two. Click on image for greater detail.